Good news! 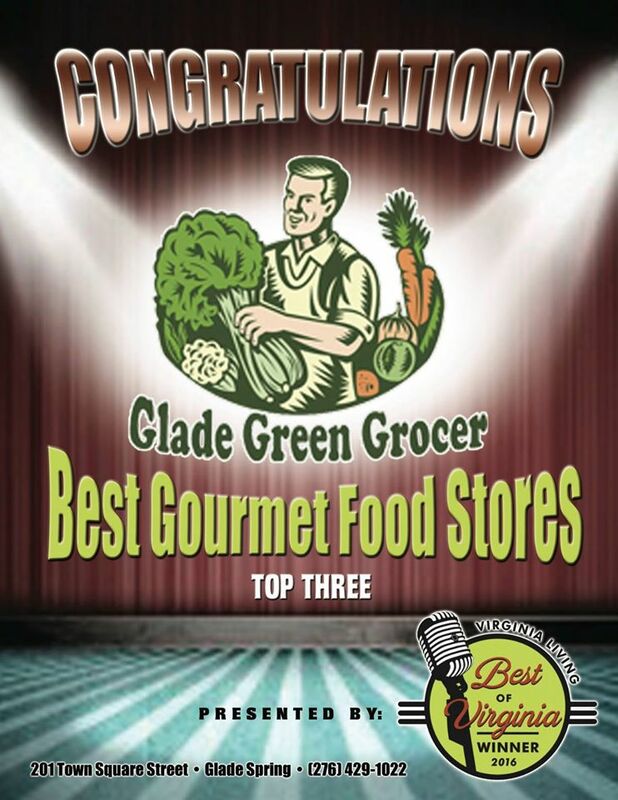 Glade Green Grocer has been voted among the TOP 3 specialty food stores in Southwest Virginia (the other two stores are located in Roanoke) by Virginia Living Magazine. This is just the latest affirmation of the quality of our products and our dedication to our customers. The store, which soon will be known as Blue Hills Market, is also celebrating the addition of a sister store (formerly Lum & Sues) at 130 Pecan Street in Abingdon. Live well; You’re worth it!